Two ladies walked past as I stood wiping perspiration off my forehead—both clad in matching traditional red áo dài. Beyond, a skyscraper pierces the sky, obviously costing millions, but probably raking in even more. 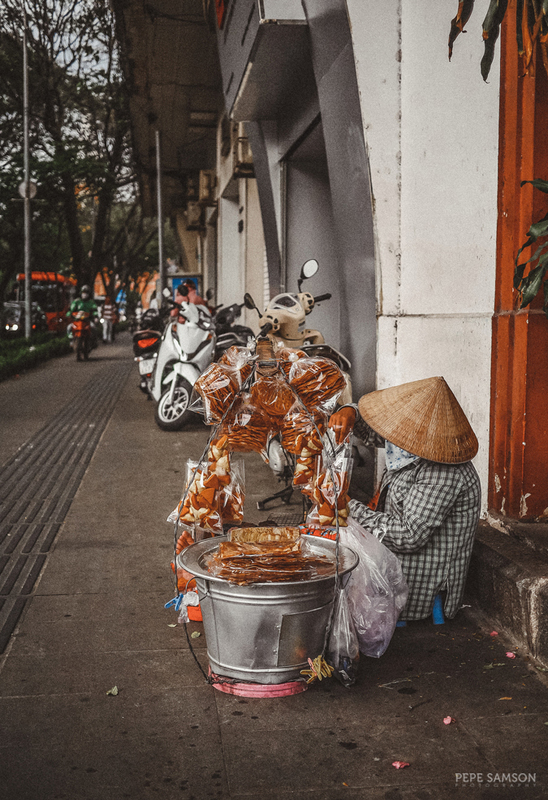 A vendor sat hunched on the pavement, hiding his face with his conical hat. A few steps away, a French colonial façade briefly snatches you out of Asia. 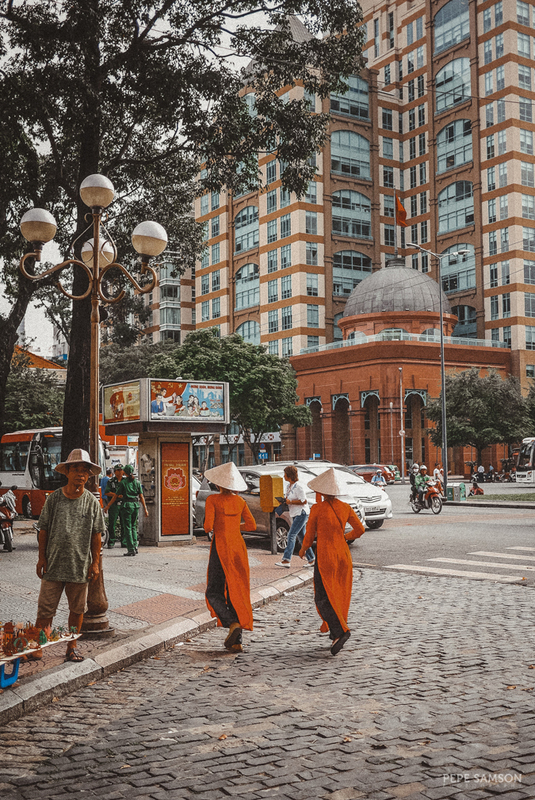 Welcome to Ho Chi Minh, formerly called Saigon—where the old and the new meet, where progress and tradition blend seamlessly. I had an unpleasant experience in Saigon two years ago, making it my least favorite part of our 3-country Indochina trip. We were scammed by a taxi driver. Not only did he drive us around the city in circles only to drop us off 50 steps away from our point of origin, he also tried to charge us 20 dollars for it. I distrusted all Vietnamese people then—I swore I will never come back. But their coffee called me. And their bánh mì. And their pho. 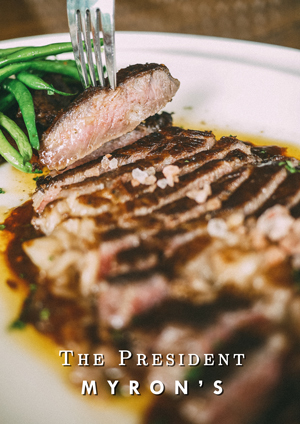 Yes, food was my main motivation, and I was willing to give Saigon another chance. 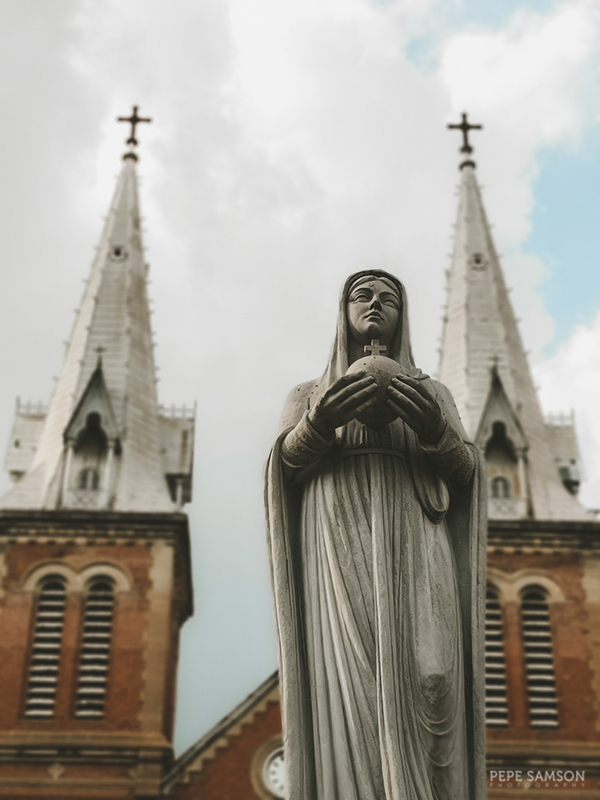 In the end, I’m glad I did—I met a few lovely locals who turned distrust into fondness, I fell in love with their laid-back living, and I just got captivated by Ho Chi Minh’s quaint charm. I’m already planning more trips to Saigon. The best time to go to Saigon is between December to March, when it’s dry and cooler (21°C to 34°C). The hottest months are from March to May. The rainy season is from July to October—you might want to avoid these for less chances of cancelling your travel plans. Ho Chi Minh is one of the cheapest cities I’ve visited, with meals in eateries only ranging from 1USD to 5 USD (~PhP52 to PhP260) and drinks priced at less than 3 USD (~PhP160). Sure, food will be more expensive in restaurants, but believe me, the best things to try in Saigon are corner shops flocked by—yes, you guessed that right—locals. Transportation (cab or Grab) typically costs less than 4 USD (~PhP210)—just imagine how cheaper this will be if you are traveling as a group. Furthermore, Saigon is very walkable, so I highly suggest that you skip the cabs as much as you can and go by foot—this way, you can also do some sightseeing. 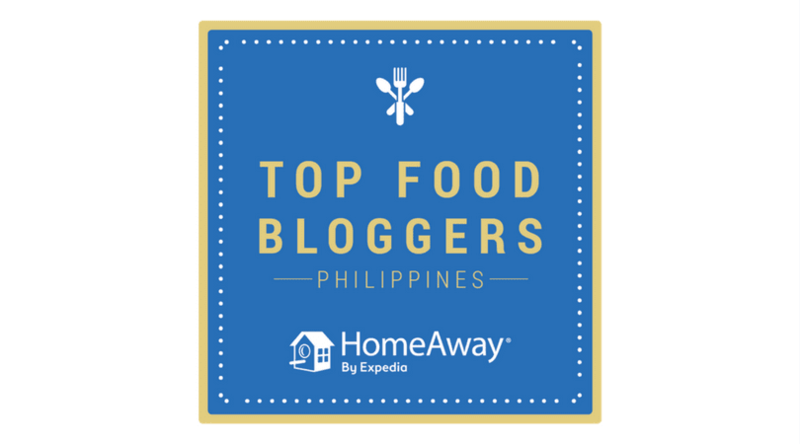 I would say you can explore comfortably with 30 USD (~PhP1,590) per day—food, coffee, booze, and sightseeing (accommodation and shopping not included). The Vietnamese Dong is the only currency accepted in Ho Chi Minh. Make sure you change your money at the airport. 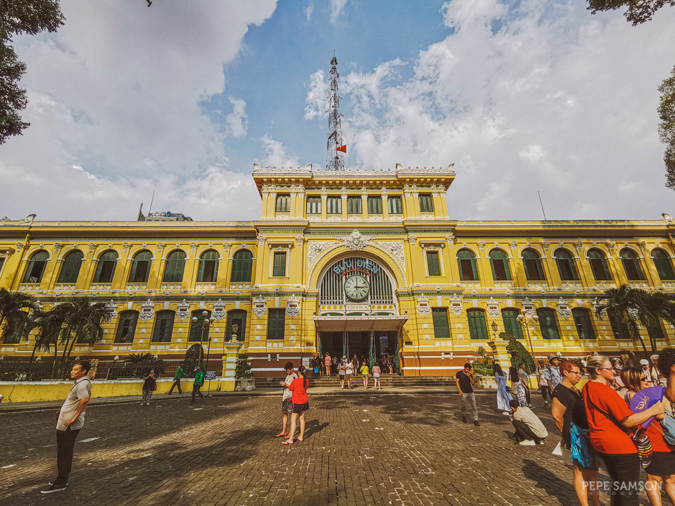 Since I was traveling with 6 other friends, we looked for an Airbnb that can accommodate a big group and we were lucky to find one that was right smack at the center of Saigon—at The One Ben Thanh Apartments! 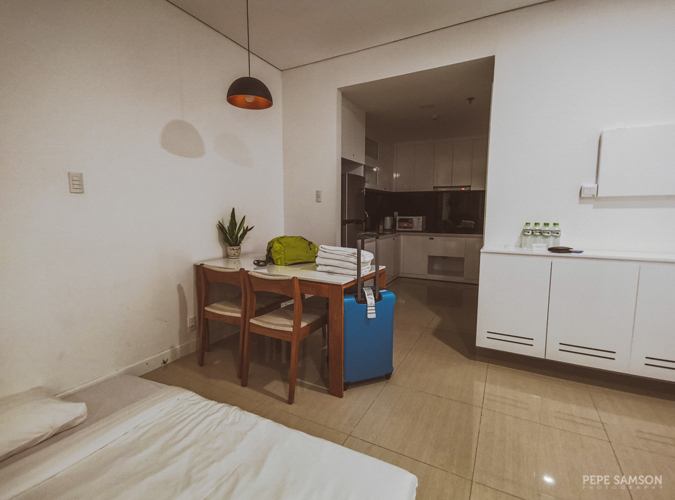 We booked this incredibly beautiful 3-bedroom unit that’s about 10 minutes by foot from Ben Thanh Market, and about 5 minutes away from Bui Vien, the drinking strip. Around the apartment, there are lots of eateries, cafés, bars, and shops. The unit itself is super spacious with a dining room, a kitchen, 3 bathrooms, and plenty of living spaces. Our host provides water and fresh towels every day. It’s one of the best Airbnbs I’ve ever stayed in—highly recommended! 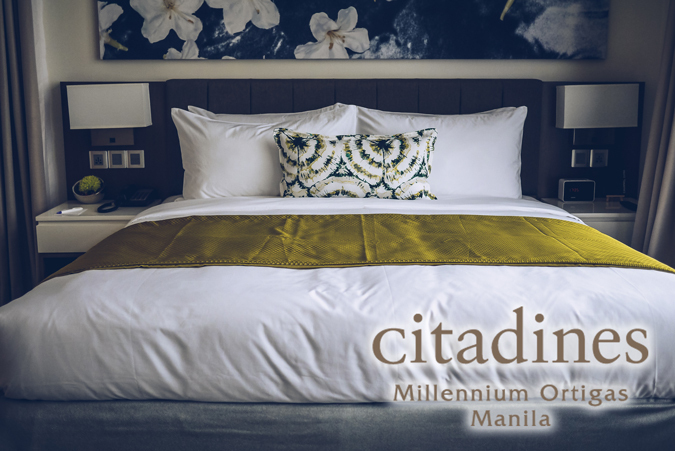 If you haven't used Airbnb yet, sign up using this link and get PhP1,600 credits on your first booking! After signing up, search for "FI556 Cozy 3BR APT @BenThanhTower" on Airbnb to book the same apartment we stayed in! 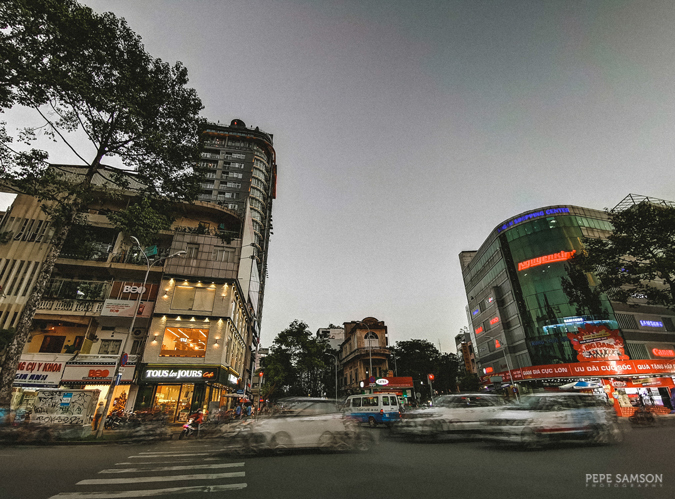 Grab is widely used in Saigon and is, in my opinion, the most convenient way to explore the city. If, for some reason, you are unable to use the app, you can take a regular taxi but make sure it’s Vinasun—the most reputable cab company. We were once ripped off by a taxi driver so you can’t make me take anything that’s not Vinasun or Grab. Scooter rentals are also available for as low as 10 USD (~PhP530) per day; be prepared share the road with the highly adroit local riders. The number of people using scooters or motorbikes in Vietnam is crazy—don’t use one if you’re not confident of your driving skills. Check out some options here. If your intention is to see a lot of tourist spots, I’d be honest with you—Ho Chi Minh barely has any. The few that it possesses can all be seen in a day, mostly offering glimpses of the city’s history, but none of them enthralling enough to make you want to stay the whole day (and not that Instagrammable, sorry IGers). But the real allure of Saigon is in its busy streets and crowded alleys. In the peeling paint of timeworn buildings. In structures filled with French heritage juxtaposed with narrow, towering apartments and hostels. 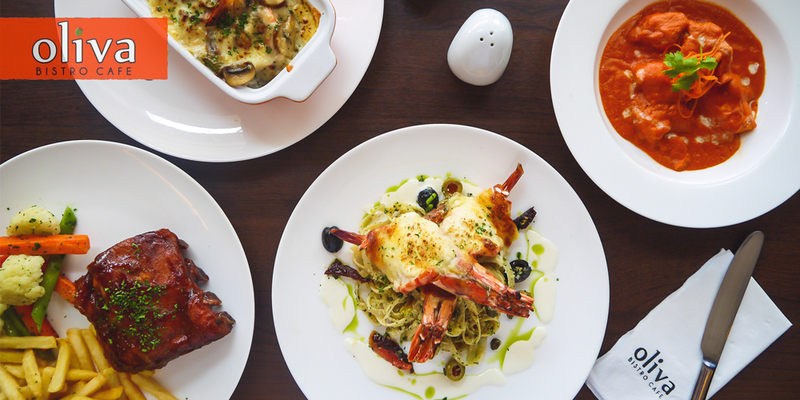 In the aroma of freshly prepared food, the kick from their exquisite coffee. Stay for at least 3 days, get immersed, go slow, and let the city introduce itself. 1 | Drink Vietnamese coffee. I’m claiming it: the quality of coffee in Vietnam is probably the best in Asia. You can pop into a random café and you are sure to meet a cup that you would love. Robusta beans are typically used—they are less acidic, strong, and distinctly bitter. If you go to a café, you would normally get a glass or cup topped with a phin (Vietnamese drip filter), laden with coarsely ground beans. You then wait until all the water trickles into your glass—this is the cà phê. It’s up to you if you want to add ice (cà phê đá), condensed milk (cà phê sữa đá), or yogurt (cà phê sữa chua). Some places even serve frothy egg coffee! 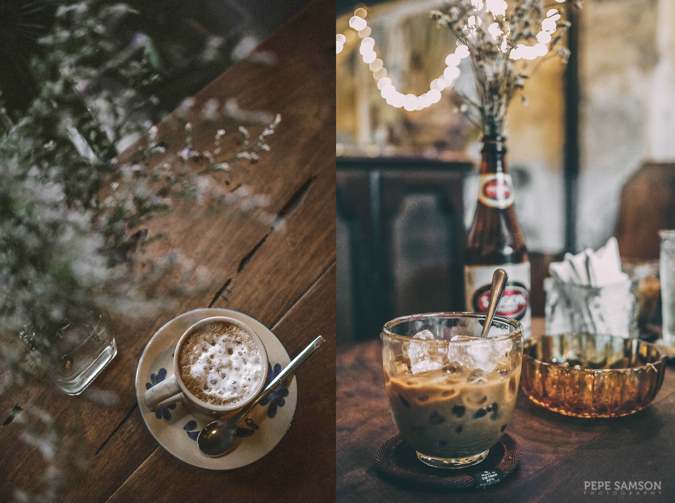 Read also: Coffee Meets Art at Hoàng Thị Café. 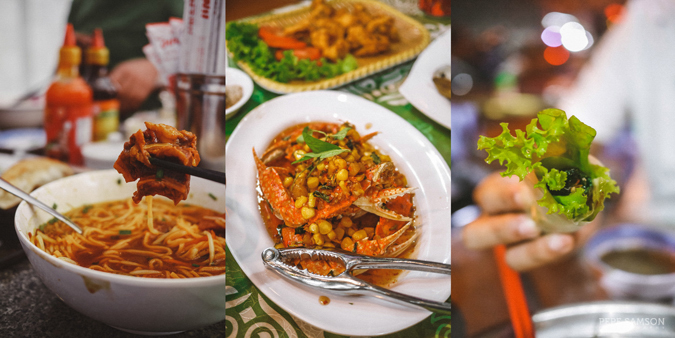 2 | Try all the local food. Vietnamese food is simple, homey, and delicious. 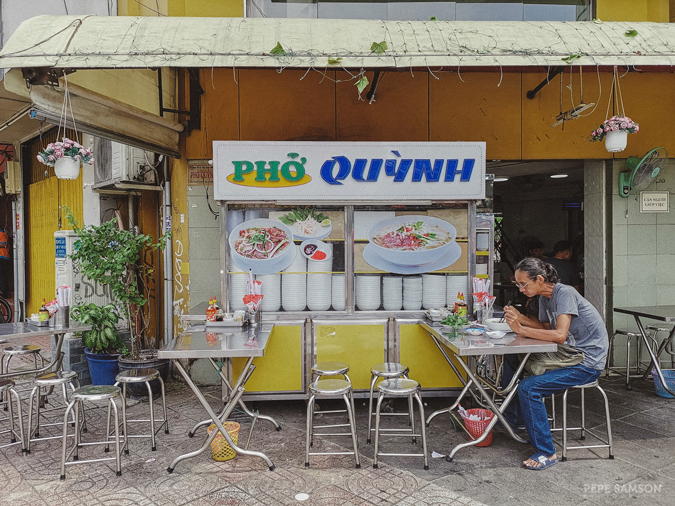 One can’t go to this country and not try pho, bánh mì, and coffee, but there’s a whole lot of other dishes to discover and enjoy. 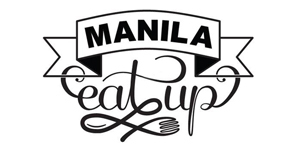 Most dishes are light and comforting (I can go on eating the whole day without tiring and getting full, LOL), but there’s definitely something for heavy eaters as well (like pork chops paired with rice, yes, I know you love that). Whoever says Vietnamese food is all veggies obviously hasn’t been there or hasn’t looked hard enough. For a list of my favorite dishes, check out my Vietnamese Food Guide. 3 | Line up for bánh mì. If you see a queue spilling out to the street, chances are it’s a bánh mì shop. Trying this famous French-Vietnamese sandwich where it originated will change your life—after my first authentic bánh mì I never ate one again in Manila (sorry, friends). Every component here is perfect: meats, veggies, aromatics, pate, and of course, bread, the most important piece for me—one that makes or breaks the whole thing. Try Bánh Mì Huỳnh Hoa (also known as the “lesbian bánh mì”) and Bánh Mì Hong Hoa. 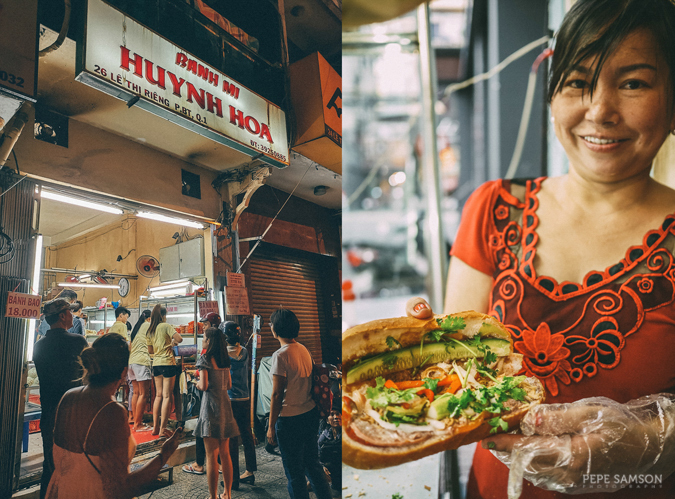 Read also: Bánh Mì Hong Hoa in Ho Chi Minh is Worth Traveling for. 4 | Dine in a quán ốc. 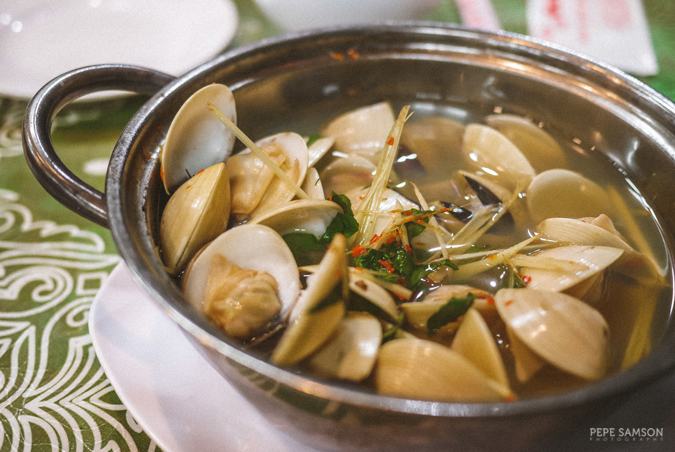 A quán ốc is an eatery specializing in snails and shellfish—and locals love going here after work for dinner and some beers. 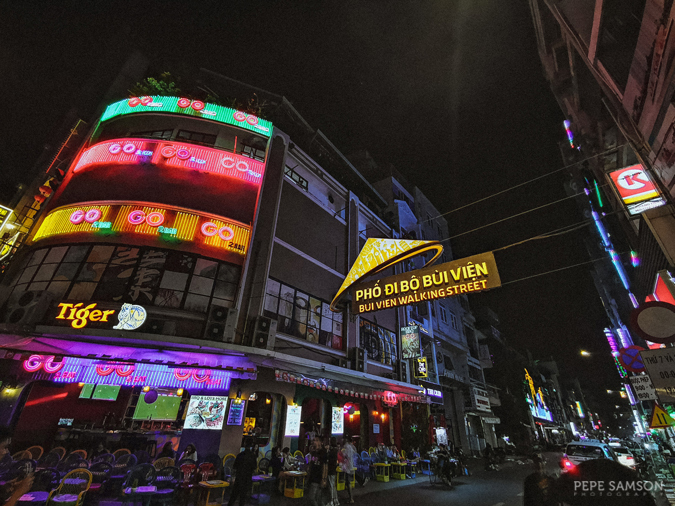 I wouldn’t have discovered such a place if I hadn’t joined this Saigon Nightlife at a Glance Tour, wherein I hopped into a local tour guide’s motorbike and he showed me the city’s most delicious secrets. Sadly, I only knew about the snails after the tour (LOL), but I did love the fresh seafood like clams, mussels, and crab claws. With bottles of Saigon Special, of course! 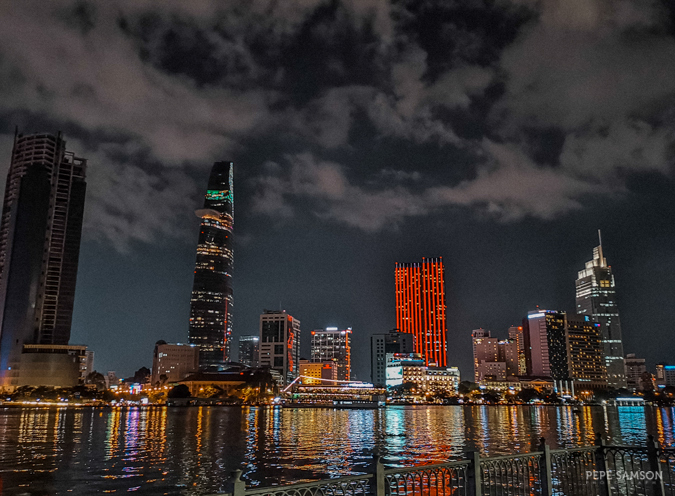 Book your Saigon Nightlife at a Glance Tour here. 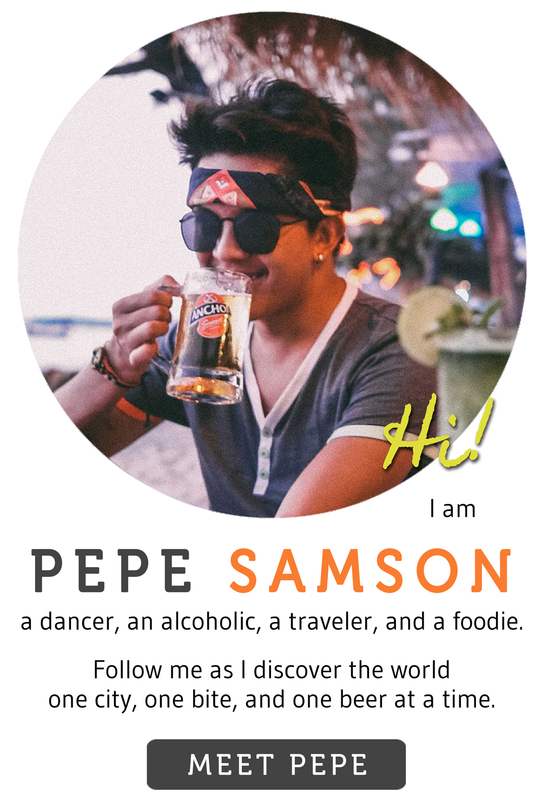 Or watch my Saigon Nightlife at a Glance video here. 5 | Admire some architecture. 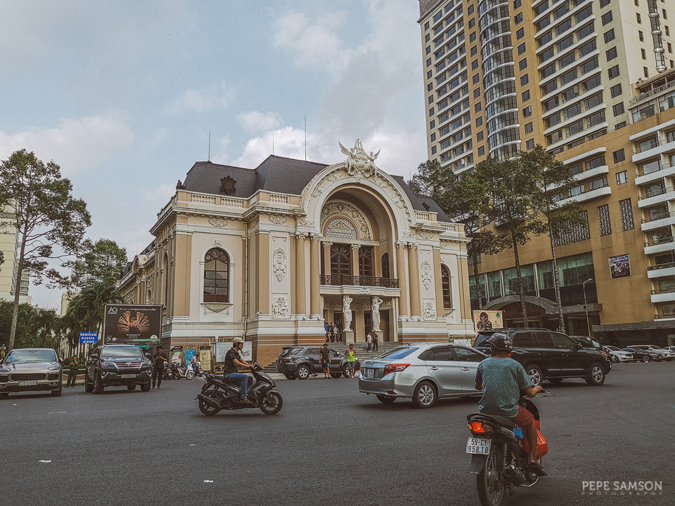 With Vietnam being a past French colony, a lot of structures bear Western semblance, like the Reunification Palace, Ho Chi Minh People’s Committee, Central Post Office, Notre Dame Cathedral, and Saigon Opera House. It’s interesting how these buildings are interspersed with the narrow and tall structures (probably to save up on land space, and rentals) characteristic of Ho Chi Minh—and of course with the modern skyscrapers. Some old buildings dating back to the French rule now house museums and hotels. 6 | Try the local craft beers. 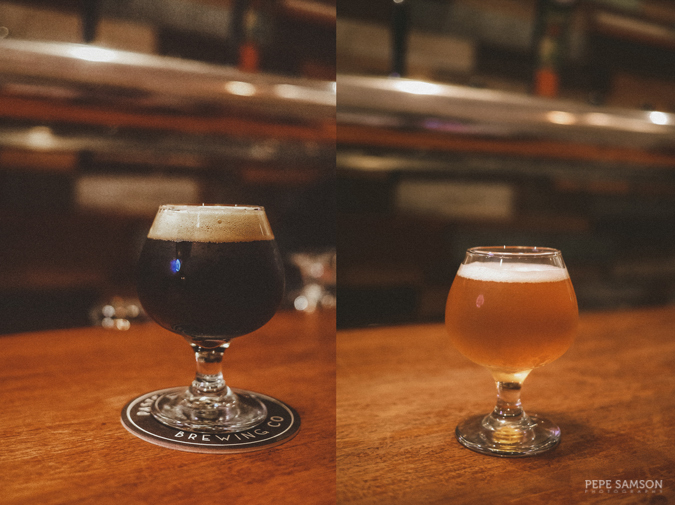 Like the Philippines, Vietnam’s craft beer scene is relatively young, but with the locals’ evolving tastes and preferences, breweries like Pasteur Street started introducing new flavors to the drinking populace. Apart from Bia Hoi and Saigon, beer lovers can now sample IPAs, weizens, and other beers spiced up with jasmine, passion fruit, Phu Quoc pepper, and of course, coffee. 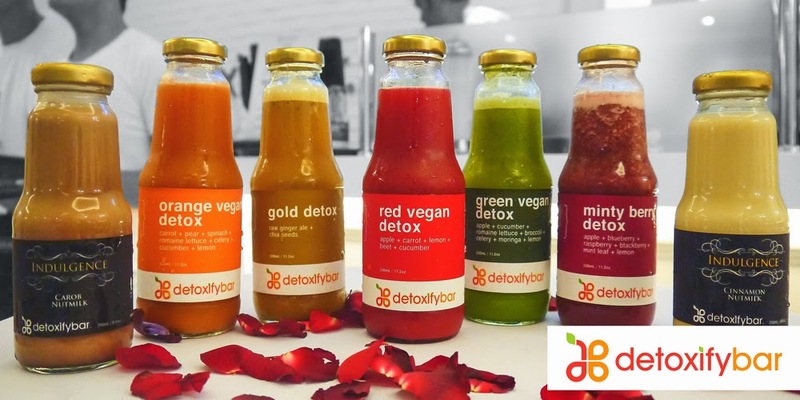 Try some in one of Pasteur Street’s locations around Vietnam or pop into the Winking Seal when you’re in Saigon. 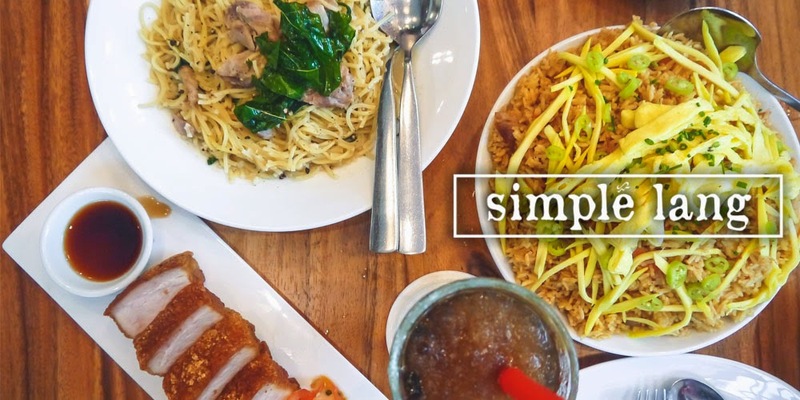 7 | Eat and shop at the Ben Thanh complex. 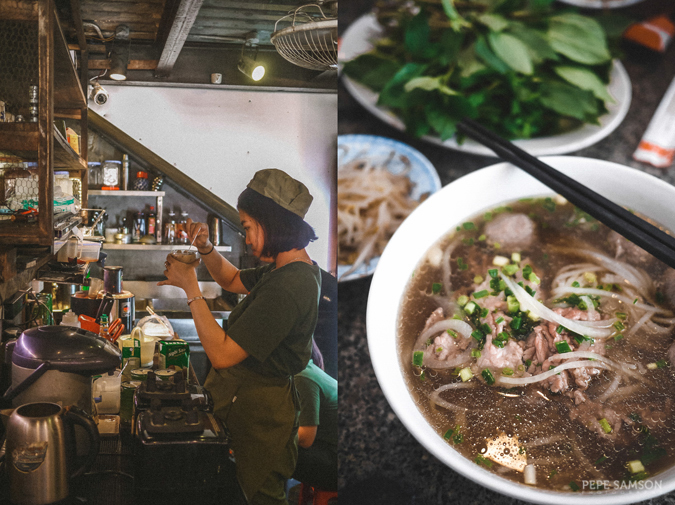 Whether you’re looking to slurp some comforting bowls or hunting for souvenirs to take home, the Ben Thanh area is a great place to raid before you leave Saigon. 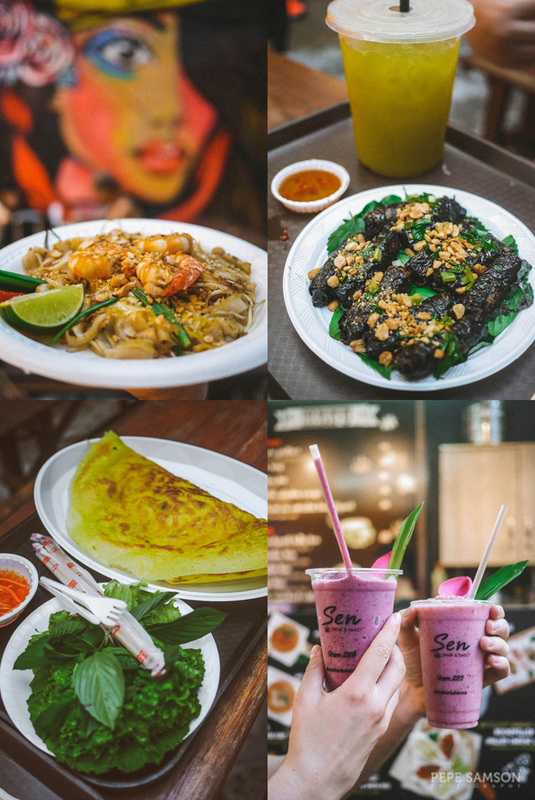 Just across Ben Thanh Market is a hipster food park called Ben Thanh Street Food Market, where you can sample all kinds of Vietnamese dishes as well as Thai, Indian, and other Asian food. In the main market, you can buy everything from coffee, tea, and dried fruits to coffee drips, shirts, and tons of keepsakes to bring home or give away. 8 | Revel in the vibrant nightlife. I tend to stay away from pretentious places when I go out, so the Saigon nightlife scene is one I truly enjoyed. Whether you like chatting up with bartenders at craft beer shops, listening to a live band, sitting on low stools while you people-watch in Pham Ngu Lao, dancing on a rooftop bar, or rave the night away, there’s a spot for you. If you want to just chill and do it like a local, go to the riverside, bring some beers, and snack on street food while watching the city lights. 9 | Explore the Củ Chi tunnels. The tunnels of Củ Chi are a popular tourist destination in Ho Chi Minh. It’s a network of interconnected underpasses used by Viet Cong soldiers as hiding spots during the war. Since the tunnel complex spans a huge area of the country, it was also used for communication and for transporting supplies. Visitors can also see living quarters, weapon factories, and trapdoors. Book your Củ Chi Tunnels Day Tour here. The Mekong Delta, the region where the Mekong River connects out into the sea, is an important part of Southwest Vietnam’s agriculture and fisheries. This huge region is a primary contributor to rice production and aquaculture production. 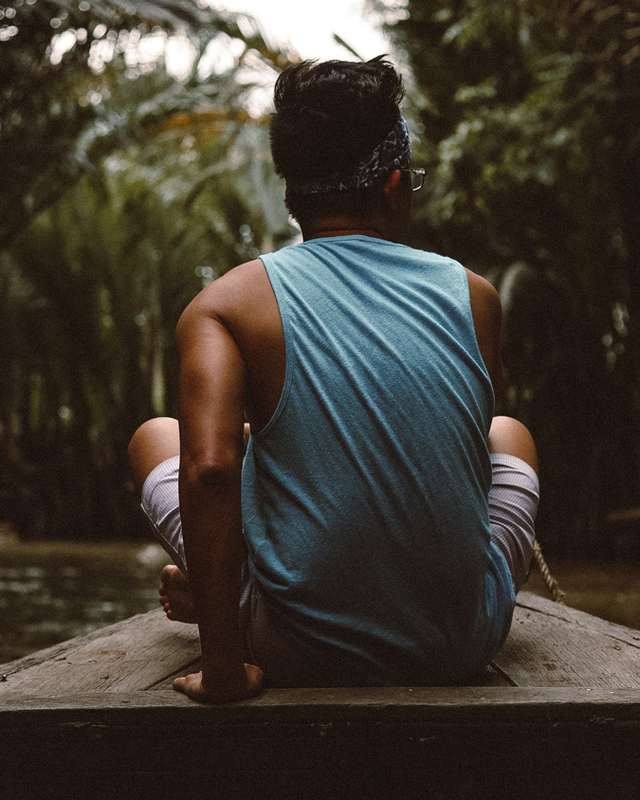 Travelers visiting Saigon can book a tour to Mekong Delta and learn about the local way of life; taste homegrown honey; visit a coconut candy factory; and ride a sampan boat through a creek. Book your Mekong Delta Day Tour here. Phu Quoc is Vietnam’s largest island, located on the west off Thailand Gulf—very near Cambodia. 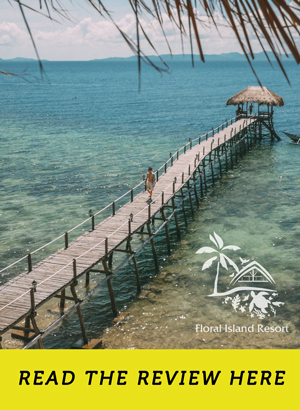 Boasting of 19 pristine beaches, this once-secret island getaway is now home to a number of big-brand resorts, but as of writing, it still gives off that laid-back, super lazy vibe that makes for a perfect vacation. 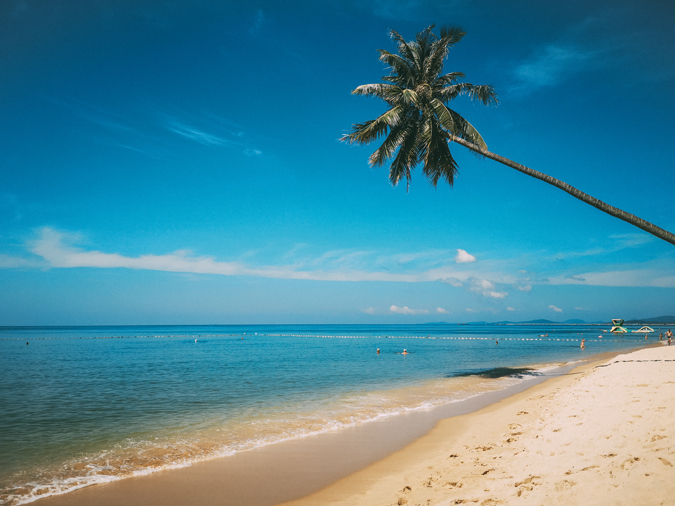 If all you want to do is get some sun, explore deserted beaches, and eat and drink all day, you need to book that flight to Phu Quoc. • Check affordable Ho Chi Minh accommodations here. 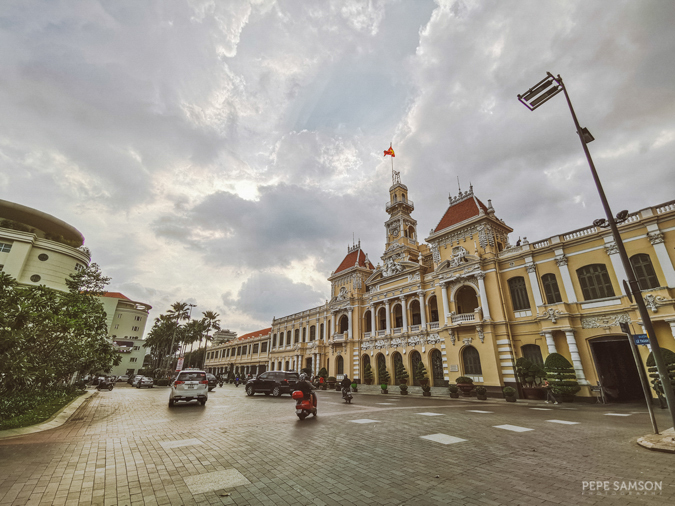 • See activities in Ho Chi Minh here. • Read my Vietnamese Food Guide. • Read my Phu Quoc Travel Guide. 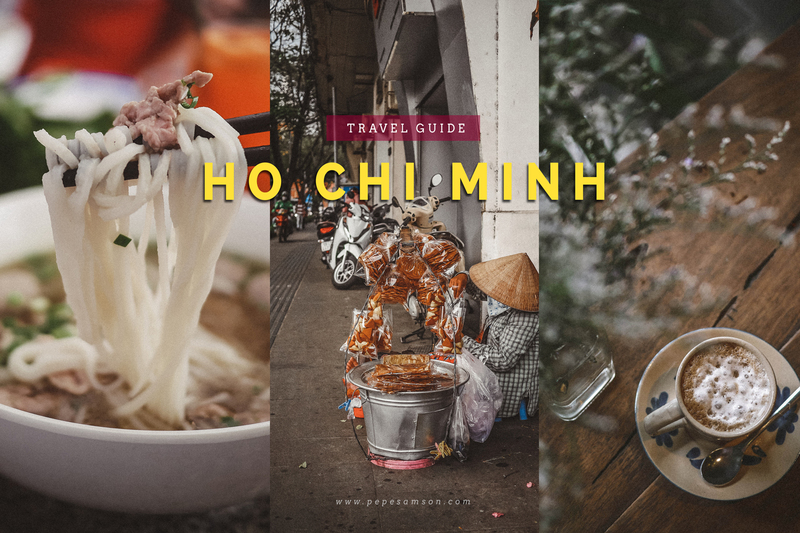 Have you been to Ho Chi Minh? How was your experience? Do you feel like coming back?